Doctor Who series 1-4 are re-released on Blu-ray in the UK on today. 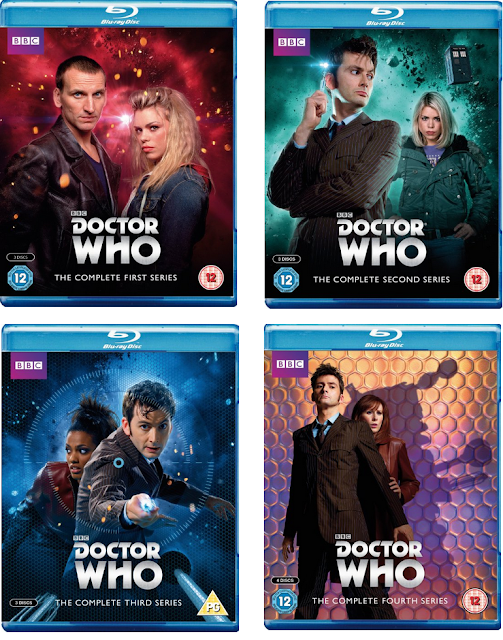 The four box sets include episodes starring David Tennant and Christopher Eccleston as the Doctor and feature companions Billie Piper, Freema Agyeman and Catherine Tate. All 13 episodes from series 1 of the relaunched Doctor Who starring Christopher Eccleston as the Ninth Doctor and Billie Piper as companion Rose Tyler. Episode 13, The Parting Of The Ways, introduces David Tennant as the Tenth Doctor. Series 2 All 14 episodes from the second series starring David Tennant as the Doctor and Billie Piper as Rose Tyler, including the 2005 Christmas special The Christmas Invasion. All 14 episodes from the third series starring David Tennant as the Doctor with Freeman Agyeman as new companion Martha Jones. 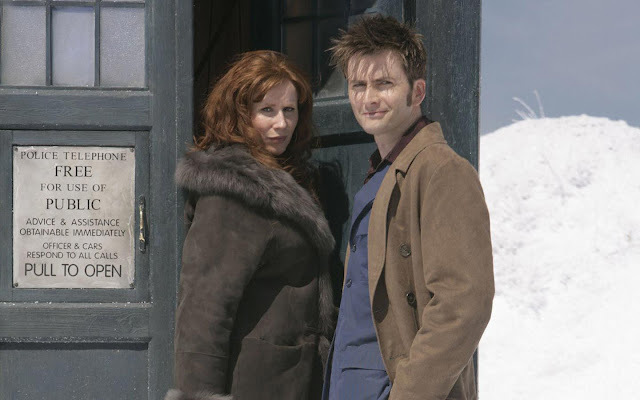 The set includes the 2006 Christmas special The Runaway Bride, co-starring Catherine Tate. 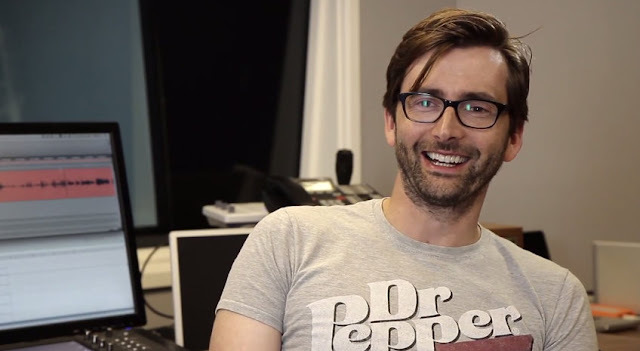 If you’ve missed any of our updates this week about David Tennant’s projects and appearances, this weekly post gives you the chance to catch up. Simply click the link to read the post. Don't forget if you want to access older news stories you can do so in our archives. Doctor Who Celebrate Ten Years Of David Tennant As The Tenth Doctor With This Exclusive Tee! UK: Tenth Doctor Novels - The Feast Of The Drowned & Forever Autumn Republished In Paperback Today The Best Doctor Who Tees On Offer This Weekend! TV viewers in Poland can see episodes 5 and 6 of the second season of the UK's award-winning crime drama Broadchurch on Ale Kino+ tonight. David Tennant and Olivia Colman play detectives Alec Hardy and Ellie Miller, now uncovering the secrets of the Sandbrook case that had previously eluded Hardy and cost him his reputation and his marriage. In tonight's double episode, Hardy and Miller focus on Ricky Gillespie and discover that Claire gave a fake alibi for her husband Lee. As Hardy loses patience with Claire and informs her that he will no longer protect her, Ellie discovers some new evidence in a photograph. Meanwhile, Susan Wright has returned to Broadchurch and is giving evidence in the trial of Danny's killer. Watch Broadchurch episodes 5 and 6 from 20.10 on Ale Kino+ tonight. The 2012 movie The Decoy Bride will be added to Netflix in the UK on Wednesday 9th September. 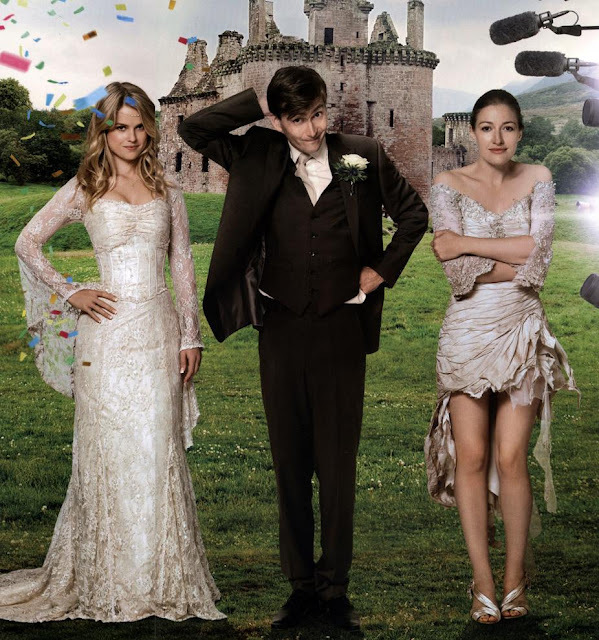 David Tennant, Kelly Macdonald and Alice Eve star in the romantic comedy about a local girl hired to draw attention away from the bride when a major Hollywood star heads to a tiny Scottish island for her wedding. The film was written by Sally Phillips and Neil Jaworski and directed by Sheree Folkson, who had previously worked with David on the BBC series Casanova. The Best Doctor Who Tees On Offer This Weekend! 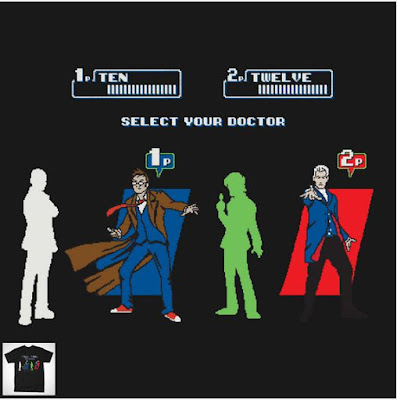 There's some great Doctor Who T shirt offers this weekend. Here's a round up of our favourite designs this week. Tee Public have the following designs on offer until Monday 31st August for just $14 / £9 each They ship worldwide from the USA and there's a wide range of hoodies, tanks, kids sizes and posters also available!! Links to buy are under each design. Companion Tees have the following 4 designs on offer until Monday 31st August for just $14 / £9 each OR ALL 4 FOR JUST $24.99! The designs are also featured on a series of other merchandise including vests, hoodies, mouse mats, coasters and phone covers which fit all iPhones, as well as the Samsung S3, S4, and S5! They ship worldwide. Please note if you have already submitted a work and we've not used it yet, don't worry, we have it so you don't need to resubmit, just keep an eye out for it to feature in future posts :) Thanks! 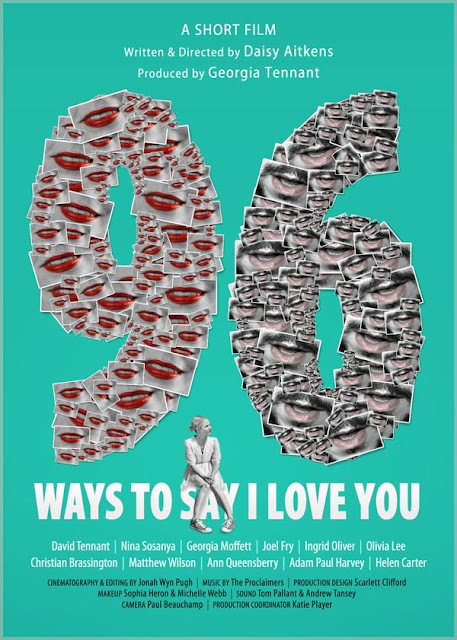 Daisy Aitkens has confirmed to us that she will be attending the Cambridge Film Festival on Friday 4th September to take part in the film makers Q&A session which will follow the screening of her film, 96 Ways To Say I Love You. The eleven minute long film is written and directed by Daisy and is produced by Georgia Tennant. It has a cast including Georgia, David Tennant, Joel Fry, Nina Sosanya and Ingrid Oliver and will be included in the Love & Death section of the Short Fusion strand, a collection of specially selected short films from around the world. The programme runs at the Arts Picturehouse, Screen 3 from 5.30pm. As Olive and Al get ready to say 'I love you' for the first time, we watch other characters discuss this momentous event in their own lives. Two new stills from the short film, 96 Ways To Say I Love You, have been released ahead of its screening at the Cambridge Film Festival 2015 on Friday 4th September. The eleven minute long film written and directed by Daisy Aitkens stars David Tennant, Joel Fry and Georgia Moffett (who also produces it) and will be included in the Love & Death section of the Short Fusion strand, a collection of specially selected short films from around the world. The programme runs at the Arts Picturehouse, Screen 3 from 5.30pm. 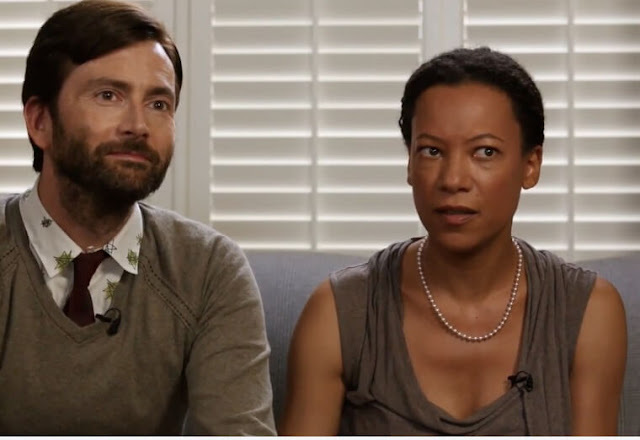 The photos show David Tennant and Nina Sosanya as Mark and Lily and Georgia Moffett as Olive. The 35th Cambridge Film Festival runs from 3rd-13th September 2015. 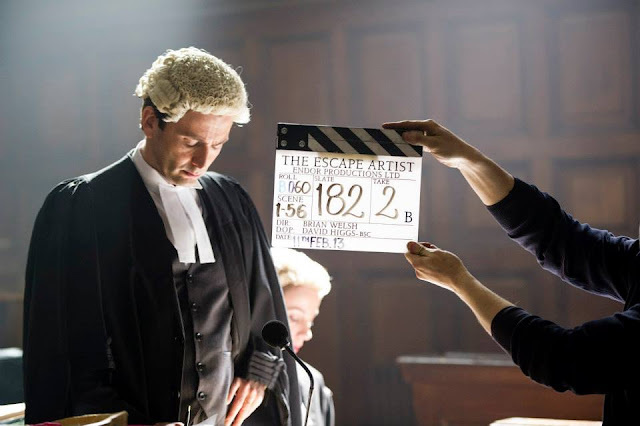 Today's Throwback Thursday post is a collection of photos taken of David Tennant on the set of his 2013 BBC thriller, The Escape Artist. The drama was filmed on locations around the UK including Glasgow, Edinburgh, Surrey and London and aired on BBC One in October 2013. 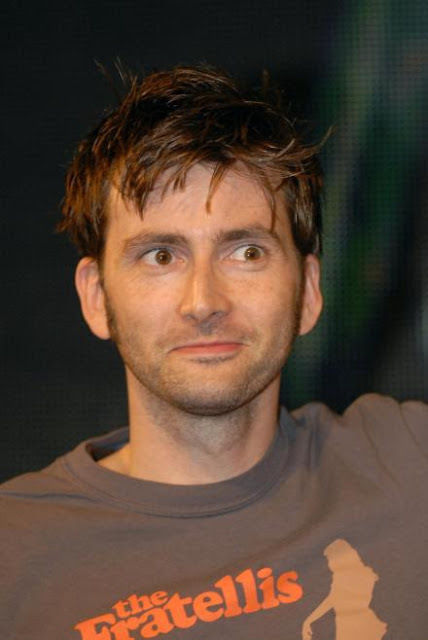 David received a Scottish BAFTA for his role. The fifth episode of season 2 of Broadchurch premieres in Sweden tonight from 21.00 on TV4. 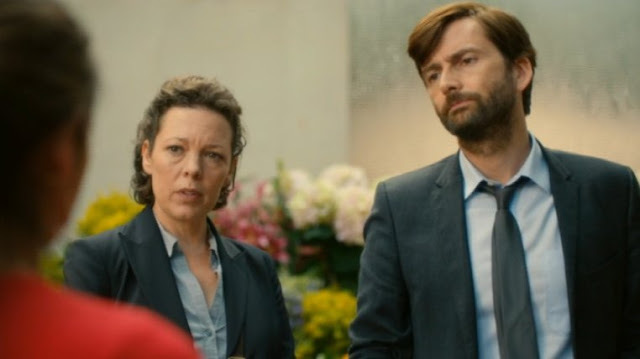 David Tennant and Olivia Colman star as Detectives Alec Hardy and Ellie Miller in the award winning ITV drama which follows the aftermath of a tragedy in a small coastal town in England. In tonight's episode, Hardy and Miller need to re-evaluate their theories after they uncover new evidence about the events of Sandbrook. Sharon Bishop (Marianne Jean-Baptiste) receives some unexpected help and reporter Olly Stevens (Jonathan Bailey) gets a big scoop. The series lso stars Eve Myles, Jodie Whittaker, James D'Arcy and Charlotte Rampling. Efter att ny information dykt upp måste Hardy och Ellie omvärdera vad de tidigare trott. Frågan är om de har haft fel om allting. Sharon Bishop får oväntad hjälp. Olly Stevens får ett stort scoop. The series continues next week. 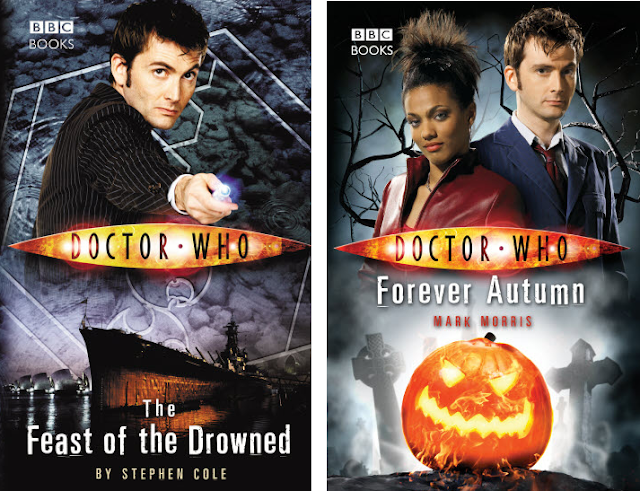 The Tenth Doctor, Doctor Who novels, The Feast Of The Drowned and Forever Autumn, are being reissued in paperback in the UK today. The Feast Of The Drowned When a naval cruiser sinks in mysterious circumstances in the North Sea, all aboard are lost. Rose is saddened to learn that the brother of her friend, Keisha, was among the dead. And yet he appears to them as a ghostly apparition, begging to be saved from the coming feast... the feast of the drowned. Yahoo TV have this year launched the Yahooies! - their own awards to honour the best of the 014-15 TV season, decided by you, the viewer. Voting in the category of Best Mystery is now open and one of the nominees is Broadchurch, the greatly acclaimed ITV drama starring David Tennant and Olivia Colman. 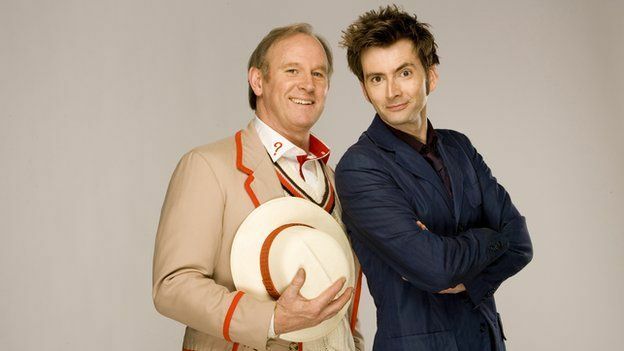 Fifth Doctor Peter Davison will release his memoirs in April 2016 and it will be a family affair with his fellow Doctor and son-in-law David Tennant penning the foreword for the book. The final installment of the first season of Titan's Tenth Doctor adventures is released today. END OF YEAR ONE – SEASON FINALE! • Gabby, Cindy and the Doctor face their greatest challenge yet! The whole year has been building to this – what state will the Doctor and his companions be left in when the smoke clears?! Doctor Who: The Tenth Doctor Issue #15 is available now from your local comic store. Alternatively click here to buy a print or digital copy. The third issue of Titan Comics summer event series Doctor Who: Four Doctors is out in comic stores and online today. 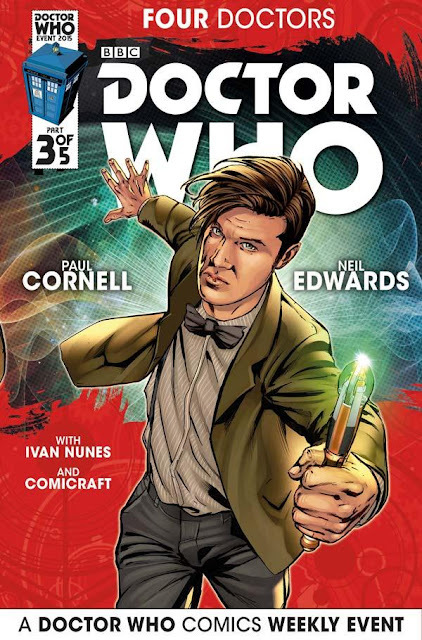 The five part series, created by Paul Cornell and Neil Edwards marks the end of the first year of official ongoing comic series featuring the Tenth, Eleventh and Twelfth Doctors, as portrayed onscreen by David Tennant, Matt Smith and Peter Capaldi. Into the lion's den! The Doctors take the fight to the enemy... but have they already been outmanoeuvred? and Twelfth Doctors and their comics companions! This epic event is the thrilling next chapter in Titan Comics’ bombastic Doctor Who publishing saga! Four Doctors, three companions, one action-packed mystery! Doctor Who: Four Doctors #3 is available in stores and digital platforms from today. Celebrate Ten Years Of David Tennant As The Tenth Doctor With This Exclusive Tee! 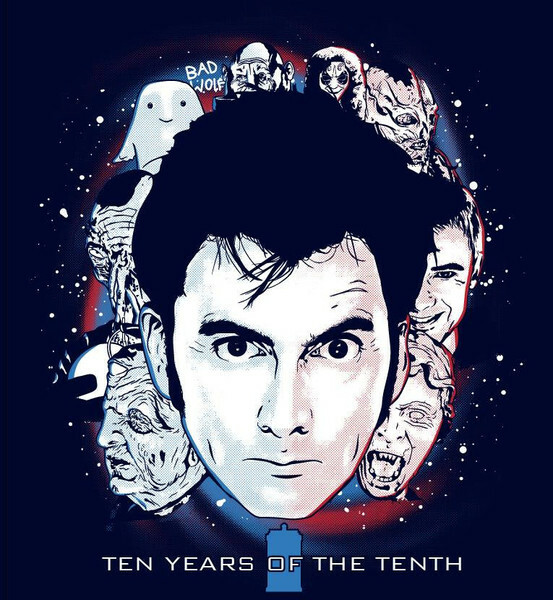 Our friends Whovian Shirts have designed an exclusive tee to celebrate Ten Years of David Tennant as the Tenth Doctor! Grab it here until 1 September!! It's just $15 and ships worldwide from the USA! The second season of the award winning UK drama Broadchurch continues on Ale Kino+ tonight with a new double episode starting from 20.10. 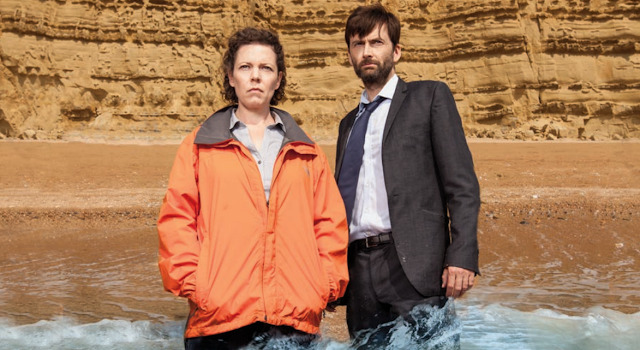 David Tennant and Olivia Colman lead an ensemble cast as the action revisits the coastal town of Broadchurch in the wake of a tragedy that has almost torn the small community apart. As the town's residents await the outcome of Joe's trial, Hardy and Miller turn their attention to an old case that continues to haunt Hardy. The series also sees the return of Arthur Darvill, Jodie Whittaker and Andrew Buchan; the familiar faces are joined by Eve Myles, Charlotte Rampling, Marianne Jean-Baptiste and James D'Arcy. Episode 3 - 20.10 Hardy faces a race against time as Ellie discovers a startling new piece of evidence, forcing them to reassess their suspicions. Meanwhile, life for Mark and Beth is about to change forever, as Ellie comes under intense pressure from all sides. The UK satellite TV channel Watch will be airing five back to back episodes of the David Tennant era of Doctor Who this afternoon from 2pm. Donna Noble is determined to find the Doctor again – even if it means braving the villainous Miss Foster and her hordes of sinister Adipose. But when the alien threat escalates out of control, can Donna find her Time Lord before the march of the Adipose begins? The Doctor and Donna travel back into ancient history. When they arrive in 79AD, however, they discover psychic powers and beasts of stone running riot in the streets of old Pompeii. The time-travellers face their greatest challenge yet – can established history be changed, or must the Doctor let everyone die? 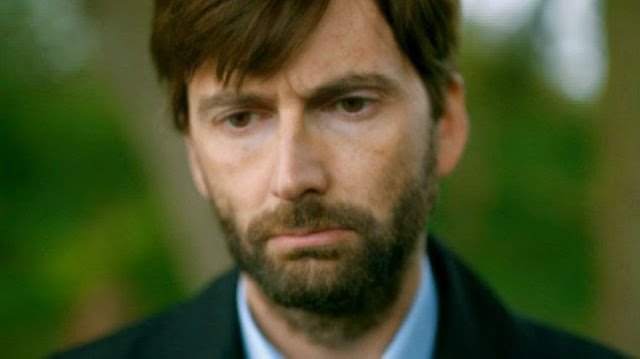 There's a another chance for viewers in Australia to see David Tennant in the ten part American murder mystery Gracepoint starting from next week. 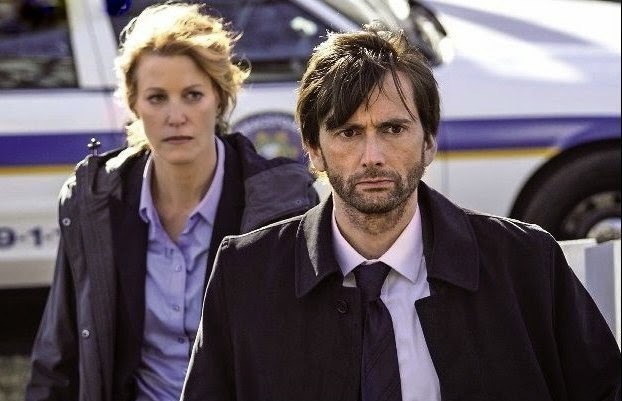 Subscription channel 13th Street have picked up the rights to air the show, a remake of the UK series Broadchurch, also starring David, starting with a double episode on Tuesday 25th August beginning at 8.30pm. The FOX TV series originally premiered in Australia on Universal Channel in late 2014. 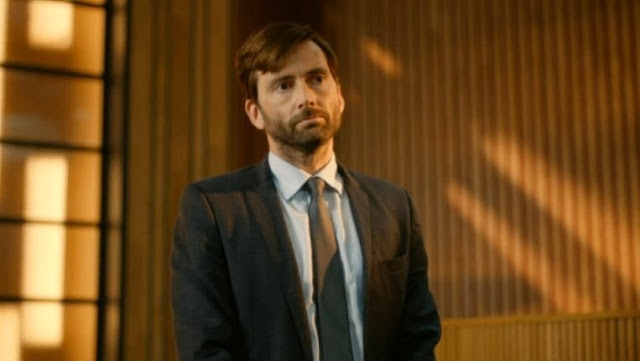 David Tennant plays Emmett Carver, a newly arrived police detective in the small Californian town of Gracepoint who immediately finds himself in charge of a major murder case. Anna Gunn plays his reluctant colleague Ellie Miller. Other cast members include Nick Nolte, Jacki Weaver, Kevin Zegers and Michael Peña. The specialist action and suspense channel 13th Street can be found on Foxtel 118 (160 for +2).